What is Trigeminal Neuralgia? I had no clue until I was forced to know of it by way of my twin sister who was suffering terribly with it. It started out with pain in her face, she thought it was dental related. It wasn’t. She went to chiropractors, neurologists, dentists and other professionals but no one could find out where this pain was coming from. Not until an amazing dentist, Dr. Christina Rosenthal, did her own research. SHE was the one who found out what my sister had. See, according to the Mayo Clinic’s website, Trigeminal Neuralgia is a chronic pain condition that affects the trigeminal nerve, which carries sensation from your face to your brain. If you have trigeminal neuralgia, even mild stimulation of your face — such as from brushing your teeth or putting on makeup — may trigger a jolt of excruciating pain. And yep, they are absolutely right because it most definitely causes EXCRUCIATING PAIN! 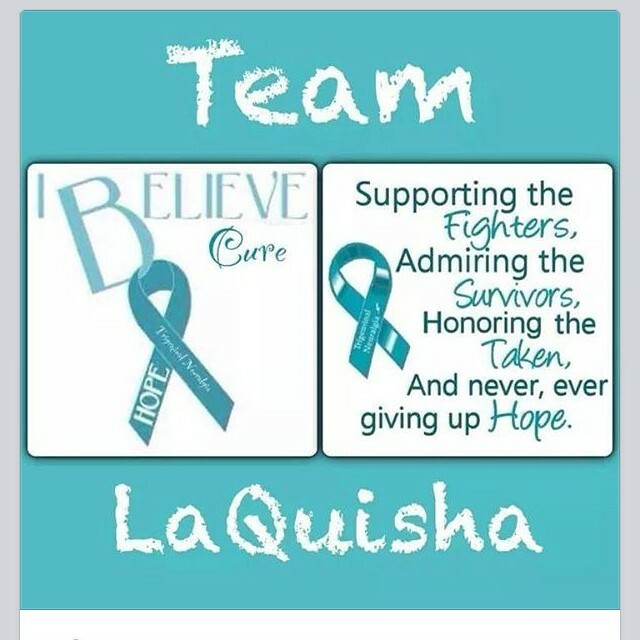 I know this because I watched my sister battle this disease for 9 months with NO relief. When she was first diagnosed, in March 2013, it was unbearable to watch. I would take her to the ER and they couldn’t do anything. They’d pump her full of pain medicine that wouldn’t even put her to sleep and then look at me with pity while saying, “there’s nothing else we can do.” My family and I called different doctors and they didn’t know. It wasn’t because of lack of their skills but it was because they lacked the knowledge to deal with this disease. So while my sister suffered; she couldn’t eat, could barely drink (she got used to taking medicine with no water), couldn’t leave the house for fear of a pain attack and she couldn’t sing. She lost over 50 pounds and with each doctor visit her medicine dosage increased but it didn’t help. They switched from giving her pain pills to pain liquid and even it didn’t help. I would watch her take a mixture of pills that I knew should have killed her yet God sustained. I watched her moan and groan in the floor from the pain, a pain most have committed suicide over yet God sustained. I watched my sister and I trusted God. One doctor told her to file for disability, God said no. One said we can kill the nerve but then you’d be left with paralysis on the right side of your face, God said no. They said this but God said, wait on me. She, we did and God sustained! You see, there is no cure for this disease but there is HOPE and HELP. Her help came in the form of God, faith, prayer, family and friends and a doctor by the name of Dr. Robert Mericle in Nashville, TN. On December 17, 2013, he performed a surgery called, Microvascular Decompression or MVD (Click the link or Google it). 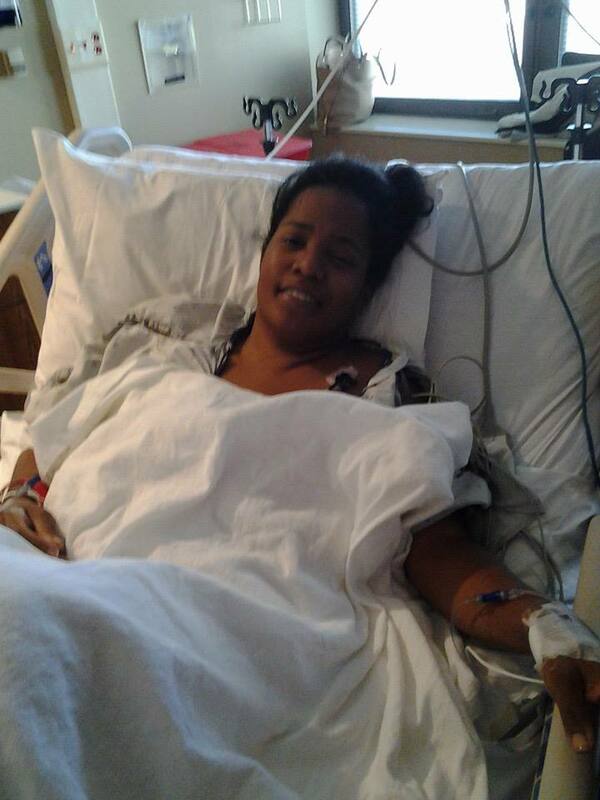 This surgery has given her 85-90% relief and her life back. She is back working and has resumed her day-to-day functions. Isn’t God worthy? Yes, there are some complications like, a scar but she wears it well. Some numbness on her right side but you can’t tell and some pain that she lives with daily but she’ll proudly proclaim she’s still fighting. (It’s evident by the tattoo on her arm). Trigeminal Neuralgia is a silent disease and a person who suffers with it doesn’t look sick but that doesn’t negate the fact they are. This is a horrible disease and if your child, spouse, friend or family member is suffering with it; SUPPORT THEM. Don’t look at them with pity, pray! Don’t tell them there is nothing wrong, there is. Don’t act like they are overreacting, they need too. This disease affects the nerve and although the doctors are quick to prescribe pain meds, they can’t stop nerve pain. Research for yourself! Before you are ignorant with your reply to what they are feeling, become informed. This disease is real and there are too many people dying because of it. Too many taking their own lives because somebody said it was in their mind. Too many killing themselves because there is no relief and/or support. Educate yourself. This is real! You don’t have to believe me, research it. Trigeminal Neuralgia is known as the suicide disease but it doesn’t have to be for the person you love! Support them! Help them! Love on them! And get them to somebody who can help them because it’s available. Don’t allow anyone to tell you otherwise! I am grateful everyday that my sister is still here with and I will go to the ends of the earth to get her the help she needs. If you know someone who is suffering with this disease, help them. Become aware today. Research and become involved. Speak for them when they can’t speak for themselves. 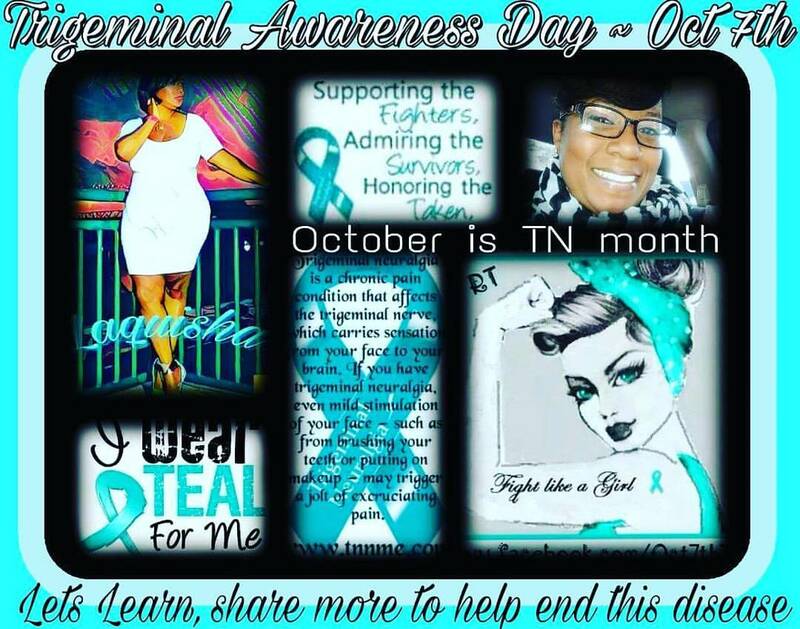 You may not have known Trigeminal Neuralgia before but you do now. 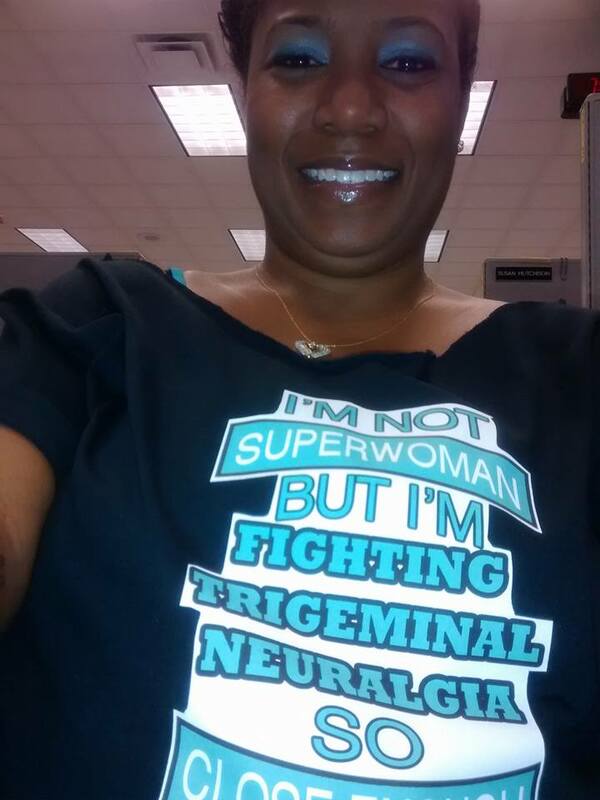 I can probably guess that a number of you have never heard of Trigeminal Neuralgia. Well, that changes today. According to the Mayo Clinic’s website, Trigeminal Neuralgia is a chronic pain condition that affects the trigeminal nerve, which carries sensation from your face to your brain. If you have trigeminal neuralgia, even mild stimulation of your face — such as from brushing your teeth or putting on makeup — may trigger a jolt of excruciating pain. They are exactly right, it causes EXCRUCIATING PAIN! How do I know? 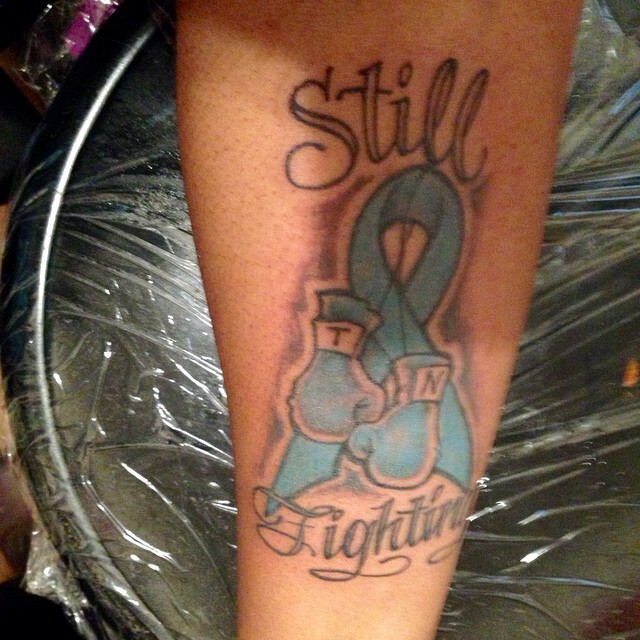 I’ve watched my sister battle this disease for the last 2 years. When she was first diagnosed, in March 2013, it was unbearable to watch. She lost over 50 pounds because she couldn’t eat or drink anything. She could only sip enough water to swallow pain medicine that didn’t work. Yet today, she is a living testimony. Yes, she is still living with this horrible disease but she is LIVING! There is no cure for this disease but there is HOPE and HELP. Her help come in the form of God, faith, prayer, family and friends and a doctor by the name of Dr. Robert Mericle in Nashville, TN. 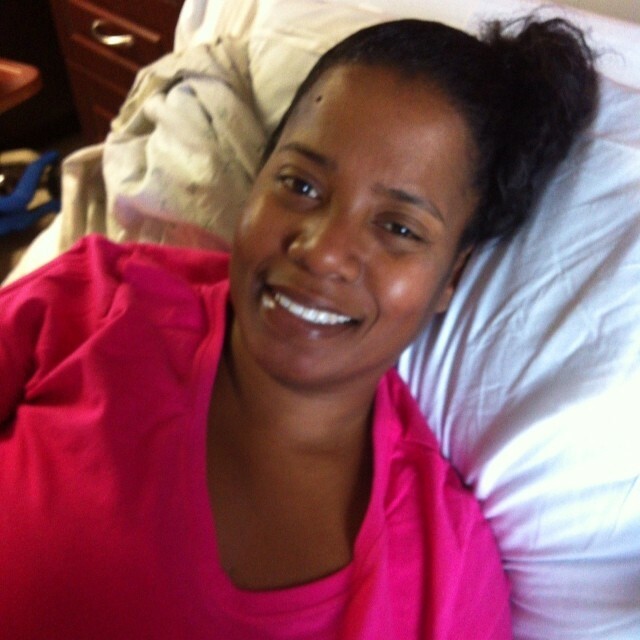 On December 17, 2013, he performed her MVD surgery that has since given her 85-90% relief. She is back working and has resumed her day-to-day functions. Praise the Lord. Trigeminal Neuralgia is a silent disease and a person who suffers with it doesn’t look sick but that doesn’t negate the fact that they are. This is a horrible disease and if your child, spouse, friend or family member is suffering with it; SUPPORT THEM. Don’t look at them with pity, pray! Don’t tell them there is nothing wrong, there is. Don’t act like they are overreacting, they need too. This disease affects the nerve and although the doctors are quick to prescribe pain meds, they can’t stop nerve pain. Research for yourself! Be informed. I am grateful everyday that my sister is still here with me and I will go to the ends of the earth to get her the help she needs. If you know someone who is suffering with this disease, help them. Become aware today. 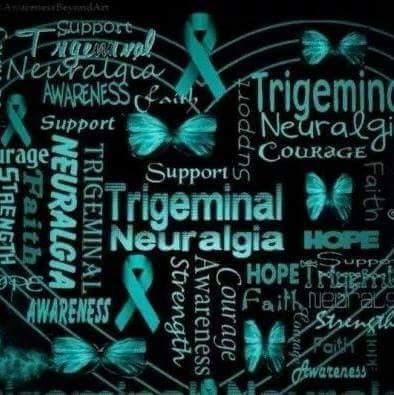 Trigeminal Neuralgia is known as the suicide disease but it doesn’t have to be for your loved one! Support them! Help them! Love on them! Get them to somebody who can give them some relief! It’s available. Don’t allow anyone to tell you otherwise! –I am my sister’s keeper!